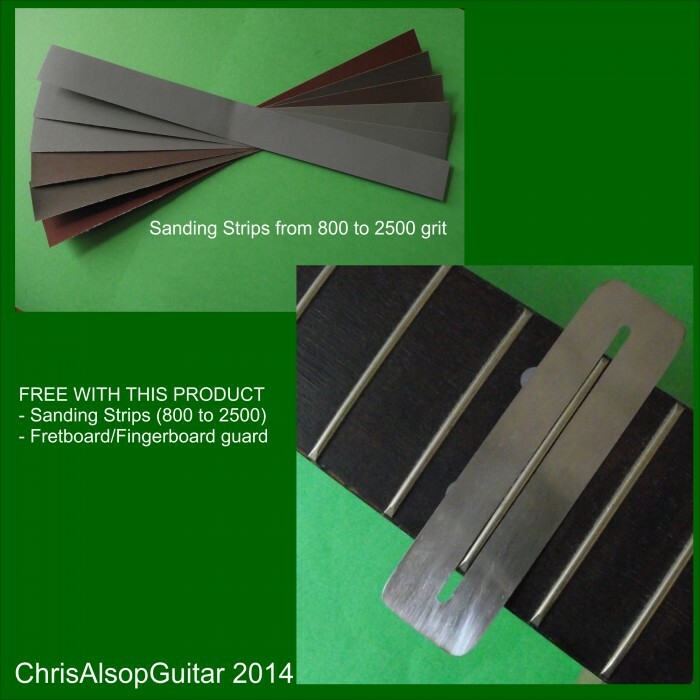 £23.07 each & FREE Delivery in UK. 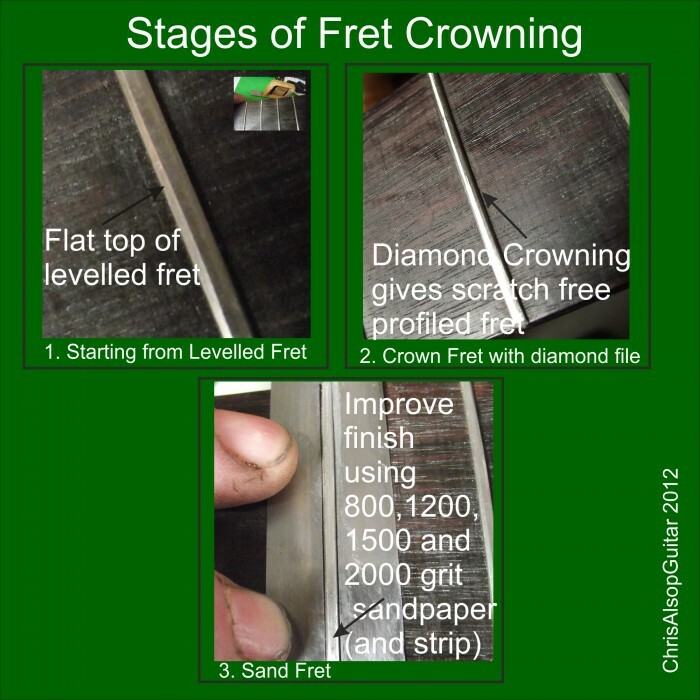 This is a diamond fret crowning file. A diamond file with a concave profile is mounted in shaped handle made of engineering plastic. 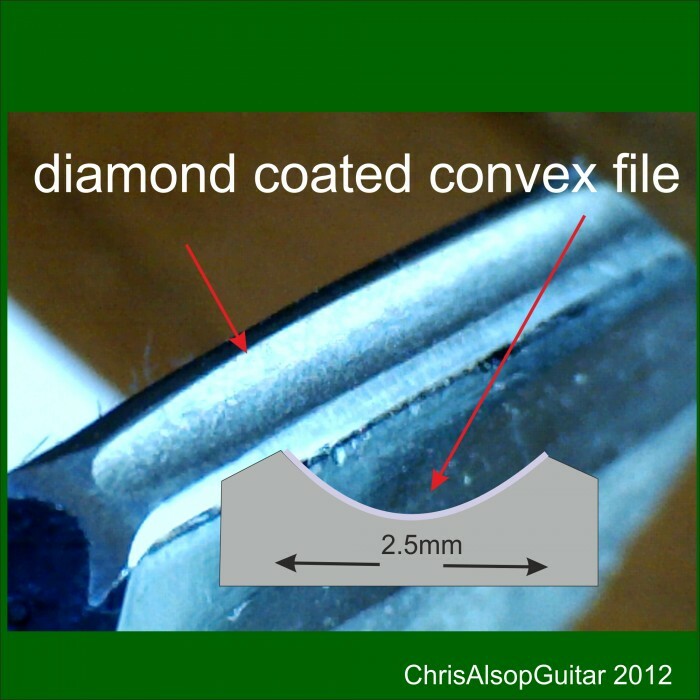 The diamond file itself is 2.5mm wide by about 35mm long and is concave to match the fret profile - when in use the file stays on the fret very well, there's no chatter. 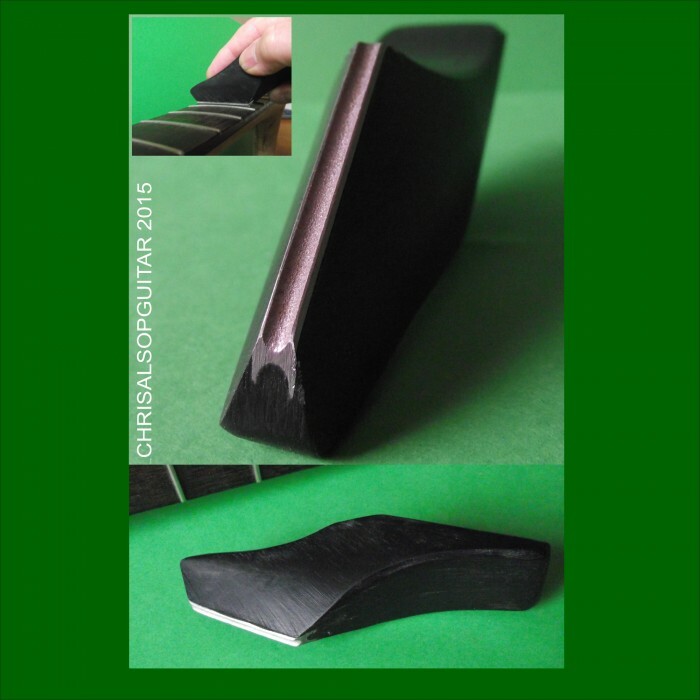 We have used a very low friction engineering plastic (so if you do slip it will not scratch badly! 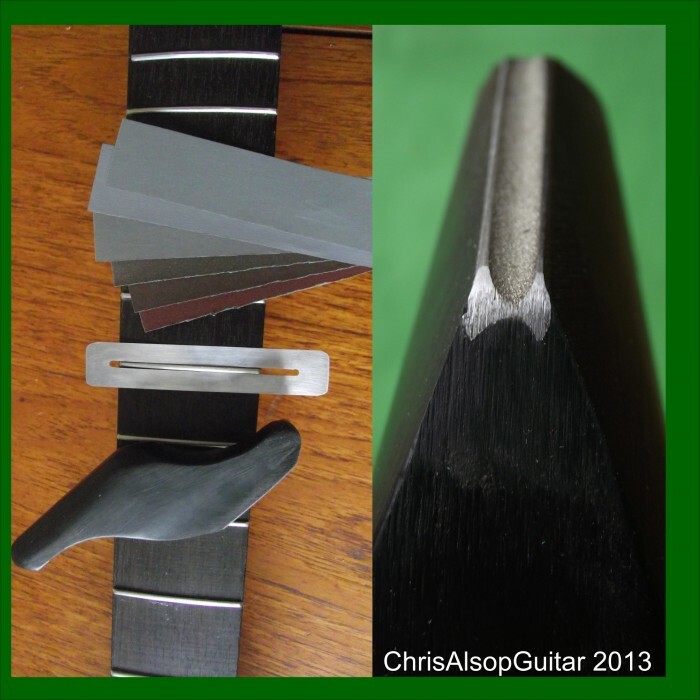 ), which is used in many of our other fretting tools. 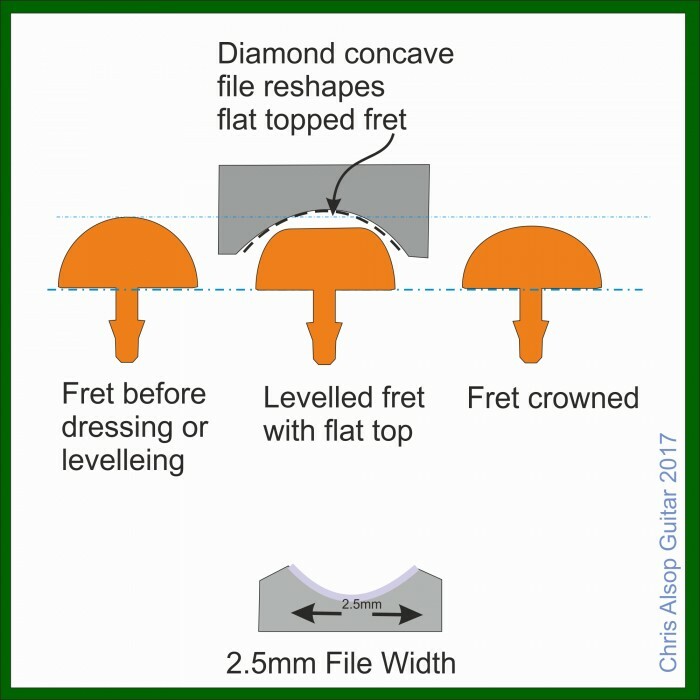 Diamond Files are really the best surfaces developed by mankind for abrasion - the resulting surface is by far the smoothest hand filed surface possible - hence less finishing and polishing!